Modern doors are constructed with a wooden frame and covered with a very thin layer of plywood or hardboard, neither can take the weight of a coat hook. 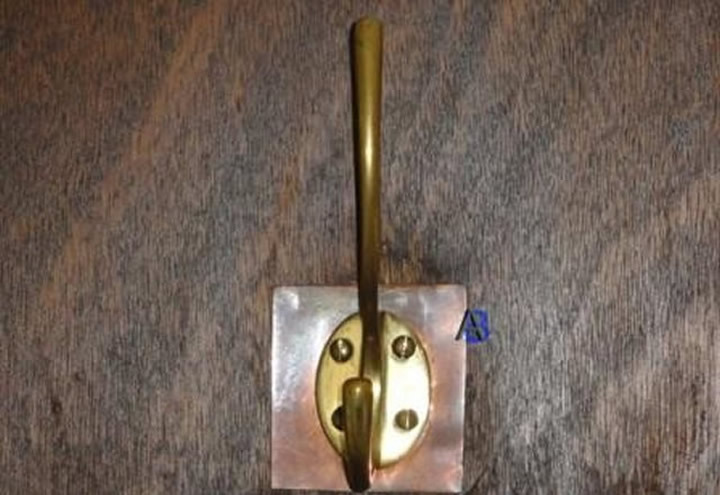 This hook had been fixed with drywall wall plugs, this had pulled out a section of the door, the client did not want to replace the door as it matched the bedroom door and a replacement door would be no stronger, so we were asked to repair it. 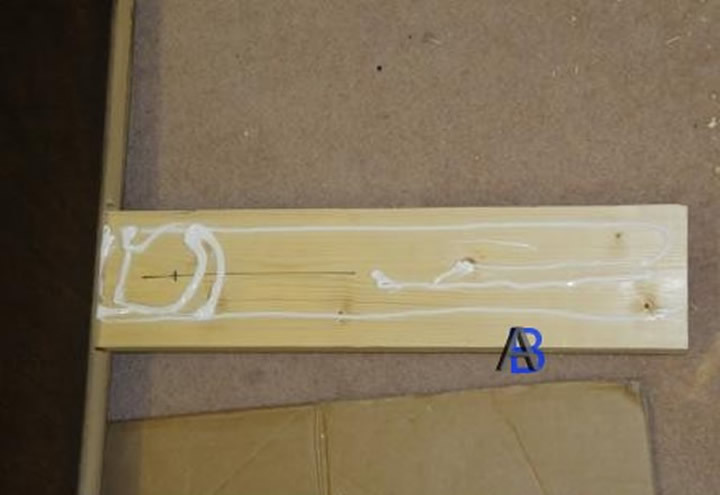 First we removed the door from the frame and marked out where we wanted to insert the piece of wood to support the hook. 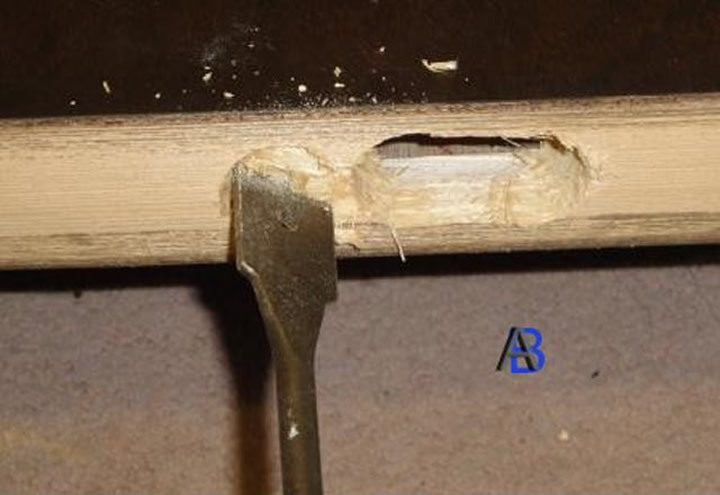 Then using a wood drill bit, drill a series of holes in the top of the door, these were then cleaned up with a wood chisel to the size of wood we were going to insert for the repair. 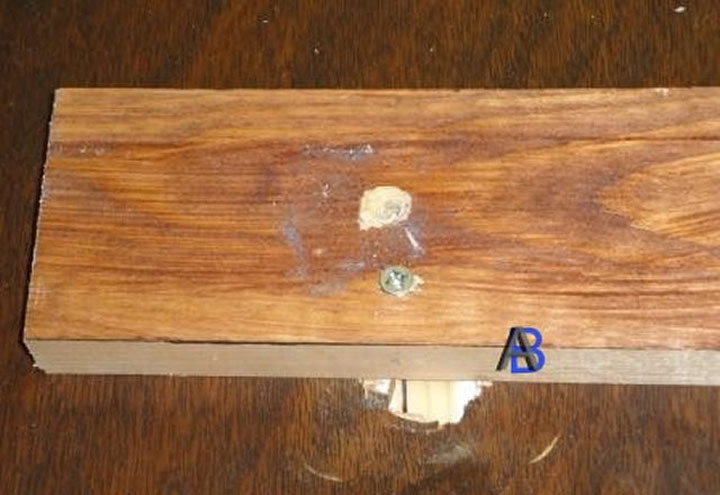 The repair wood was then inserted with no-nails adhesive and held in place temporary while the adhesive went off. When dry the hole could be filled and painted, but this door was stained and would be hard to match so we used a small piece of cooper plate. 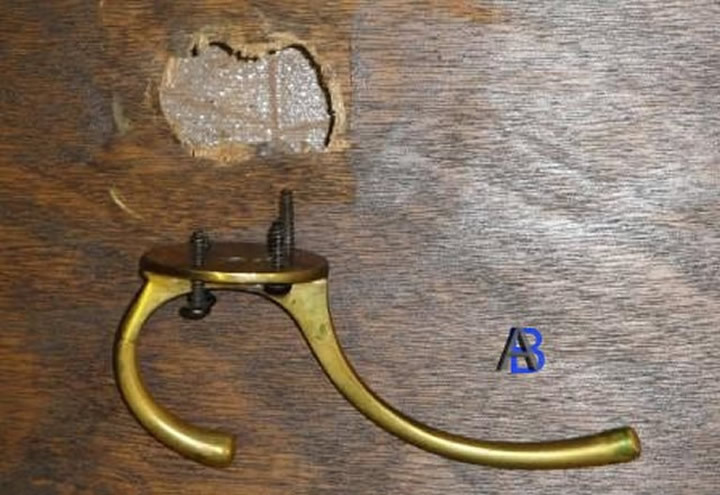 The door hook is now screwed to the inserted wood and is very strong.